Share the joy of ensemble singing with The Western Wind! Western Wind Workshops are uniquely interactive, intense musical experiences. Each participant is made part of a small ensemble that is guided / facilitated (not conducted) by a member of The Western Wind. In their small ensembles, participants sing an eclectic and intriguing selection of music that might include Medieval, Renaissance, Baroque, Early American, 19th and 20th-century part-songs, rounds, hymns and folk-songs, jazz, pop, improvisations and more! 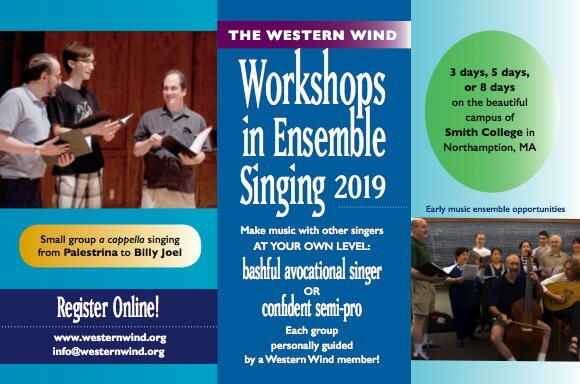 Through small-group sessions and master-class style seminars, The Western Wind addresses each singer’s individual development, fostering growth in skill and accomplishment. Because the ensembles are formed based on musical skills, the workshop is open to singers at all levels – professionals and amateurs, soloists and ensemble performers, conductors and music teachers. Located amid the charming sophistication of Northampton, Massachusetts, Smith College is the oldest women’s college in the United States. Smith’s historic campus, nestled at the foot of the Berkshires, is surrounded by the unspoiled countryside of New England. The campus provides excellent facilities for jogging, tennis, workout, swimming and squash. Scenic, wooded walks and a superb art collection are added offerings. Smith College is within driving distance (2½ hours) of New York and Boston. Peter Pan Bus lines operates daily service to Northampton from New York City and Boston. Amtrak serves the town of Springfield, Massachusetts just 30 minutes from Northampton, and bus service is available from Springfield to Northampton. Bradley International Airport in Windsor Locks, Connecticut, services all major airlines and is a 45-minute drive from the campus. You may make your deposit now for the period of your choice. first-time participant at a Western Wind Workshop. Our participants come from a variety of musical backgrounds and have a vast range of experience. The minimum requirements are that you’re able to carry a tune and have a basic familiarity with music notation. If you’re unsure, please give us a call, and we’ll help you out. Bring Your Group! Pre-existing groups are welcome at Western Wind Workshops. Discounts available on tuition for groups of eight or more. Get a 10% discount if this is your first Western Wind Workshop. A 5% tuition discount is applied for Friends of the Western Wind. Partial scholarships available based on financial need. Participants are housed in a lovely and airy dormitory on campus. Participants also have the option to arrange their own overnight accommodations. A list of nearby hotels and motels and travel information will be sent upon request. Delicious meals are served on campus. The Smith food service creates fresh meals on the premises and will accommodate most diets including vegetarian and vegan. Off-campus participants who choose to have meals on-campus will be charged for these meals at check-in ($14.50 for breakfast, $17.50 for lunch and $27.50 for dinner). There is a discounted price if you have both breakfast & lunch ($30.50/day) or lunch and dinner ($44.50/day), as well as for those who choose to have all meals on-campus ($48/day). Weekend session begins Friday evening, June 28 and concludes Sunday, June 30. Weekend session begins Friday evening, August 2 and concludes Sunday, August 4. 5-day session begins on Monday evening, August 5 and concludes on Saturday, August 10 in the late afternoon. 5-day and 8-day participants residing in the dorm can arrange to stay the final Saturday evening following the conclusion of each workshop for a modest additional charge. Elliot Z. Levine (baritone, Session II), a native New Yorker, sang with The Western Wind for its first 47 years. A Master’s graduate of the Manhattan School of Music, he has taught at City College, Upsala College, the Lighthouse Music School, and the Hebrew Arts School. He has been a featured soloist with the RAI Orchestra at Rome, the Rome Opera, La Fenice, Musica Sacra, The Folger Consort, the Kalamazoo Bach Festival and the Ensemble for Early Music. His works have been performed and commissioned by choruses and solo artists around the country, and he has written and arranged numerous works for The Western Wind. Harold Flammer, E. Henry David, Willis, Plymouth Music, Colla Voce, and Shadow Press publish his works. Robert Eisenstein, viola da gamba. Founding member of The Folger Consort, early music ensemble in residence at the Folger Shakespeare Library, Washington, D.C. Director of the Five College Early Music Program in Western Massachusetts. Lecturer in Music History at the University of Massachusetts. Performances with the Newberry Consort, Tanglewood Festival, Cappella Nova, the New York Consort of Viols, the Washington Bach Consort, Hesperus, and the National Symphony. BA Antioch College., MM, Sarah Lawrence College. Arash Noori, lute, theorbo, baroque guitar (Session II). 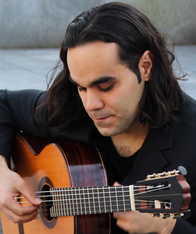 Described as “the compelling guitarist” (New York Times), Arash Noori has gained a reputation as a versatile musician, with a repertoire ranging from early to contemporary music. Performing on a variety of lutes and guitars, Arash has garnered critical appraise in both solo and ensemble settings. He has been a prize-winner in international competitions (Guitaré Montréal, Great Lakes Guitar Festival, amongst others) and has performed solo recitals in North America and Europe. Arash has been a core member of the chamber-vocal ensemble Cantata Profana since the group’s inception. Staying true to Cantata Profana’s eclectic style, Arash has served the group’s “intrepid and unexpected concerts” (The New Yorker), performing on a wide range of fretted plucked instruments – in a manner described as making “toggling between the two niche genres of early music and new music seem as straightforward as switching instruments. It’s not.” (Boston Globe). Arash has also performed with Early Music New York, the Sebastians, Bach Vespers at Holy Trinity, as well as appearing regularly with Juilliard415. 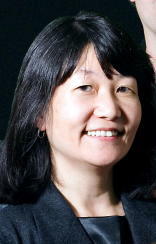 Yumiko Matsuoka, contemporary a cappella and jazz specialist (Session II). Originally from Tokyo, Japan; professor at Berklee College of Music in Boston, teaching ear training. Founder of Vox One, a Boston-based a cappella quintet, whose albums Vox One (1993), Out There (1995) and Chameleon (1997) have won multiple awards from the Contemporary A Cappella Society of America (CASA). In 2008 she released an anthology album of her arrangements and compositions entitled To Every Thing There Is a Season. Published by the University of Northern Colorado Jazz Press. 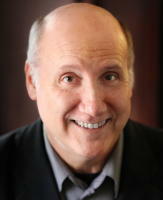 Mark Johnson has worked with a cappella ensembles of every size and many styles. He has collaborated with Toby Twining as music director, singer, producer, and mix engineer for Chrysalid Requiem (2002) and Eurydice (2011). He has been a producer for Western Wind recordings, and some of his vocal arrangements are sung by the Western Wind on My Funny Valentine (1997). Since 2004 he has sung with Marble Collegiate Church in NYC under the direction of Kenneth Dake. Mark is also a music copyist and editor, and piano and organ tuner, all of which he gets to do at Marble. He appears on Bobby McFerrin’s album, VOCAbuLarieS (2010), arranged & directed by Roger Treece. 8-day participants have Monday open for recreational activities, including a swim at a local pond. 5- and 8-day participants have Thursday afternoon free to play tennis, go jogging or swimming, walk into town, or take a nap! The Western Wind and guest faculty present a concert on the first Friday night of each Smith workshop week, and on Monday night of Session II. Weekend participants finish their stay by presenting a concert on Sunday afternoon. 5-day participants present their final concert on Saturday afternoon. 8-day participants participate in both concerts. Full days of performing and listening, participating and appreciating will enrich your a cappella voyage through the ages! You can view the full 2018 Session II schedule here. A limited number of partial scholarships based on ability and financial need will be available. For information regarding scholarships please contact The Western Wind office: via e-mail or via phone, 212-873-2848. Scholarship requests are due by May 1, 2019. Smith College is within driving distance (2½–3 hours) of New York and Boston. By Bus – Contact Peter Pan Bus Lines (413-781-3320) for information about schedules to Northampton. There is daily bus service between Northampton and New York City and Boston. By Train – Amtrak (800-USA-RAIL) now stops in Northampton again. By Air – Northampton is 33 miles north of Bradley International Airport in Windsor Locks, Connecticut, which is served by all major airlines. A door-to-door shuttle service provided by Valley Transporter (800-872-8752) is available from Bradley to Northampton for approximately $32 each way (reservations are required). Peter Pan Bus Lines (413-781-3320) provides transportation from Bradley to Northampton via a transfer in Springfield, MA. Logan International Airport in Boston is served by all major airlines and is a 2½ hour drive from Northampton. Advance registration is required to ensure your enrollment. To register please send your deposit to us via Paypal on this website. A letter of acknowledgment containing pertinent information as well as a questionnaire will be emailed to you upon receipt of your registration. Your balance due for registration and/or accommodation fees must be paid upon your arrival and check-in to the workshop. This year participants who attend both Smith I (weekend) and either the 5-day or 8-day of Smith II receive a 10% tuition discount for each workshop. There is also a tuition discount available to all participants who register before midnight on May 28, 2019 for Session I and July 2, 2019 for Session II. Full refunds are made for cancellations received prior to May 29 for Session I and July 3 for Session II. From May 29–June 12 for Session I and July 3–July 17 for Session II, a cancellation fee of 50% of the deposit will be charged to cover administrative costs. Deposit is forfeited if cancellation is made after June 12 for Session I and July 17 for Session II. If the workshop is canceled or postponed, neither Smith College nor The Western Wind is responsible for any related costs, charges, or expenses, including cancellation/change charges assessed by airlines or travel agencies. 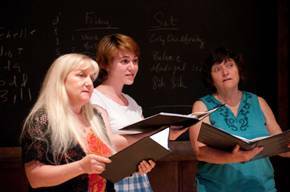 The Smith Workshops also offer opportunities to perform in larger ensembles and sing informally in open reading sessions. Our guest faculty members coach and accompany singers in ensemble and solo repertoire from the Renaissance and Early Baroque, as well as in the subtleties of jazz and pop performance. Optional performance practice classes are available (during 5-day periods only). Past topics have included vocal jazz improvisation and arranging led by Yumiko Matsuoka, and Early Music topics led by Robert Eisenstein. The cost of the large group piece (which everyone sings) is included in the tuition. In our small ensembles published editions will be used whenever possible and participants will need to purchase the music used. In addition, a library of outstanding ensemble music will be available for sale.